Hot / Cold Towel Services. 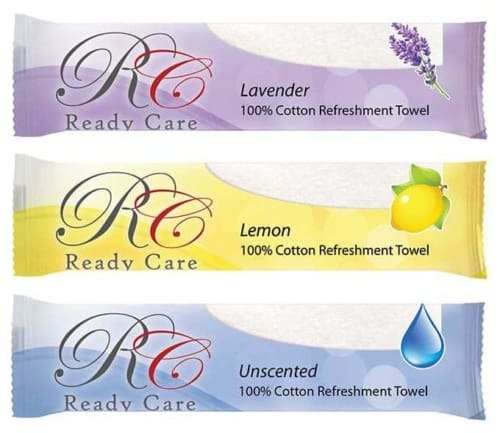 Ready Care is a provider of luxurious, 100% pre-moistened cotton towels that can be served as a cold or hot towel. Our towels are rolled and scented with essential oils for the ultimate in a luxury hand towel. Our refreshment towels are made in the USA and available for distribution across Canada! Copyright © 2019 | Ready Care, supported by GRIT Online | All rights reserved.